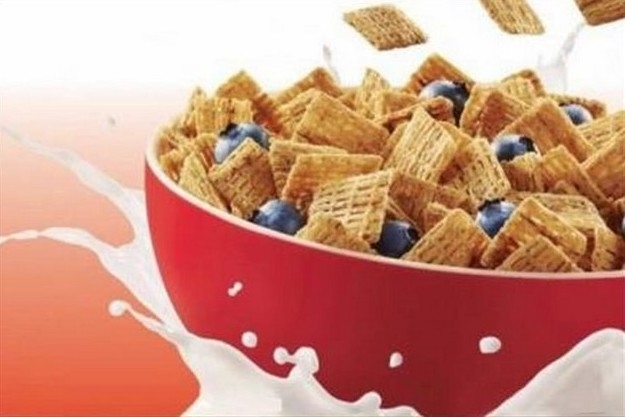 Have I lost sleep trying to figure out why the milk is under the cereal bowl? Will I continue to lose sleep over it? This is not normal. People will tell you there’s no use crying over spilled milk—but I say we should all be allowed time to grieve, and then we should unite so that the milk will never be spilled again. Milk belongs IN the bowl, not under it. This is insane. It’s OK for all of us to be sad. (Even the berries are blue.) And it’s also OK to be mad. Don’t let people tell you to calm down. Spilled milk is a big sticky mess that sours and stinks. We can’t just accept it. We’ve got to do everything we can to contain it, to keep it from becoming an even bigger, more serious mess. And we must vow that it’ll never happen again. You tell ’em, Bill Spencer! I just bring these matters to the good people’s attention. Bill does the real work, after that. I think you’re talking ’bout something much bigger than milk, Bill.